If you’re not familiar with the Sony QX100, it attaches (or not) to your phone via wifi and uses your phone as the view finder. It then saves a 18mp shot to a micro SD and a 2mp shot to your phone for sharing (there are many other saving options). The images are pretty good considering what it is, but the lens/camera is not exactly that mobile, as it does not fit comfortably in your pants pocket. This entry was posted in Cities, People, Street Photography and tagged Alberta, beautiful, bike, biker, biking, bridge, building, buildings, Calgary, Calgary Tower, Canada, centre, centre street, city, City Life, clouds, condos, cycling, girl, metro, mobile, modern, new, old, photo, Photographer, Photography, pretty, QX100, sky, Skyline, skyscrapers, Snapseed, sony, sony qx100, street, street photography, tower, Urban, woman, yyc, zoom. Bookmark the permalink. The first shot doesn’t look real. The color, the buildings. It’s very interesting. The second one is beautiful. Thank you! I couldn’t really decide what picture I liked better and had a hard time deciding on what one to use as the feature image haha. A lovely picture..human vs glass and steel..Love it, congratulations! 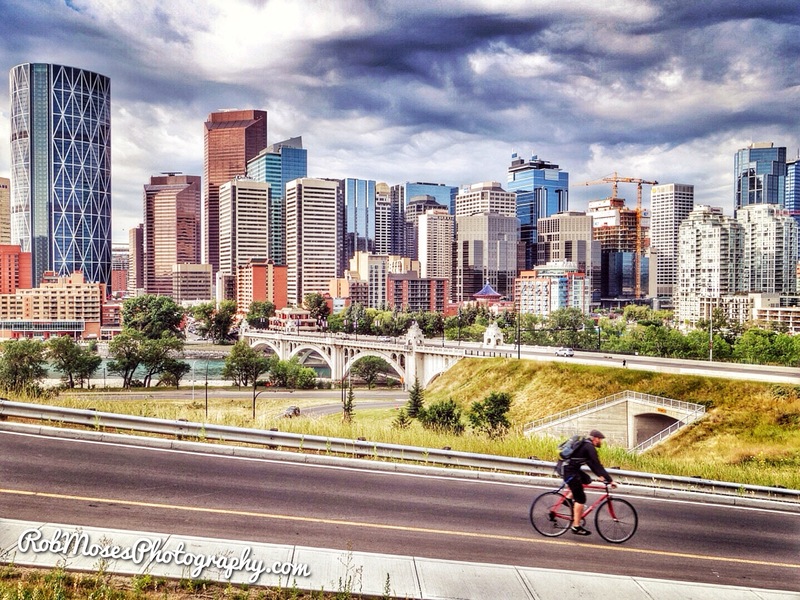 These are awesome photos Rob – you make Calgary look great! Thank you Diana! Calgary is great ;). I like the colours – almost like they have been coloured with pastels. It looks like you had a great day. 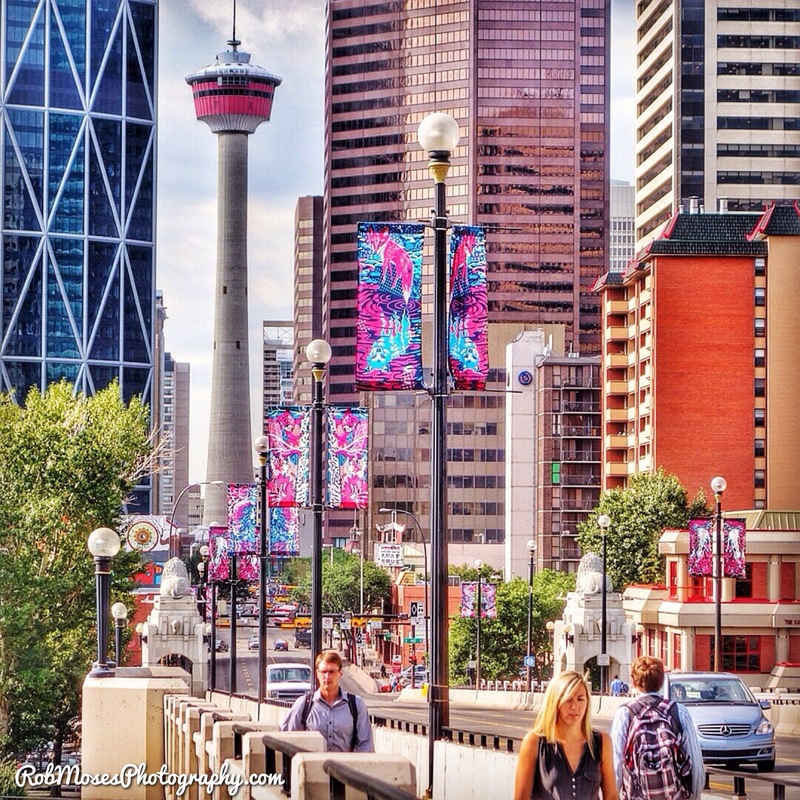 it is always nice to see wonderful images of Calgary. thanks for sharing. Well thank you for enjoying them! I did indeed have a great day and I’m glad you like the pictures :). Calgary’s skyline is getting more and more filled in. A city that appears to be making great progress (I haven’t been there in ages, so the photos were rather surprising!). Artistically processed photos, Rob. They certainly are vibrant and eye catching! Thanks Mike! Yes, from what I gather Calgary has grown an insane amount in the last 10 or 20 years. Even in the last 2 years since I got here I have seen buildings springing up at a rapid pace :). You should come out for a visit one of these days! Haha yes, the ever growing list! lol. I know how that goes :). Thank you about the picture. Wow, these are cool, Rob. They look like they are colored pencil renditions with real people to make them pop. Awesome work. Thank you very much Jen 🙂 Glad you like the pictures! nice photo……I grew up in Calgary so it brings back some lovely memories! Maybe you should buy baggier pants. Then you could tuck the lens into the pockets . . . Ya it is nifty indeed haha. These almost look like paintings, especially the first shot. Fabulous!